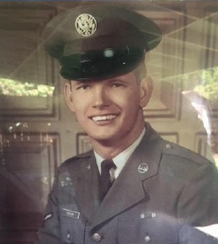 Robert Wickizer, 70, was killed by police May 30, 2016, as they responded to a disturbance call in Tualatin. Officers said to be “involved” – one or more of whom shot Wickizer to death – were Tualatin officer Erich French, Beaverton officer Charles Wujcik, Beaverton officer Aaron Oberst, Washington County Sergeant Chris Schweigert, Hillsboro officer Anthony Cristofaro, and Tigard officer Nathaniel Will. According to Wickizer’s son, his dad was a loving father who had bipolar disorder. On May 30, 2016, at 4:15PM, Officers from the Tualatin Police Department responded to the 18000 block of SW Cheyenne Way in Tualatin for a disturbance call. The caller reported that Robert Wickizer, 70, was armed with a firearm, threatening family members at the residence. As the officers were responding, two female family members fled the residence to a neighbor’s house. The neighbor allowed the women in and armed himself as Mr. Wickizer broke a window and attempted to force his way into the residence. The neighbor fired a warning shot towards the door in an attempt to scare Mr. Wickizer away from the residence. As the officers arrived on scene, they located Mr. Wickizer outside of the neighbor’s residence, armed with the gun. Mr. Wickizer continued his efforts to force his way into the neighbor’s residence. Officers attempted to negotiate with the Mr. Wickizer, who continued to ignore the officer’s commands. Based upon Mr. Wickizer’s continued actions, officers used lethal force against him. Mr. Wickizer was pronounced deceased at the scene. No family members or officers were injured during the incident. The Washington County Major Crimes Team is investigating the shooting. The officers involved have been placed on routine Administrative Leave. A 70-year-old man who had been drinking and shooting his gun was shot to death by police Monday afternoon in Tualatin. Robert Wickizer had a gun and was threatening his family members in the 18100 block of Cheyenne Way around 4:30 p.m., officials said. Two women ran from the house and a neighbor let them in. Wickizer broke a window and tried to get into the neighbor’s house, but the neighbor grabbed his gun and fired a warning shot toward the door. Officers from multiple departments arrived and saw Wickizer, armed with a gun, outside the neighbor’s house, Capt. Greg Pickering with the Tualatin PD said. Wickizer kept trying to get into the neighbor’s house while officers tried to negotiate with him. But he ignored police commands and was shot by police. He died at the scene. Residents were told to stay inside their homes during the incident. No officers were injured. Police were initially called to the area about an intoxicated man who was firing shots. A tactical team from the Washington County Sheriff’s Office went to the scene along with other police and paramedics. Investigators have not said how many officers or which police departments were involved. Police from Tualatin, Beaverton, Tigard and the Washington County Sheriff’s Office, among others, responded to the call. The officers involved in the shooting were placed on administrative leave pending the outcome of the investigation, standard procedure in these cases. KOIN 6 News will have additional details as the situation unfolds. The family of a 70-year-old man who was shot and killed by police on Memorial Day suffered from a mental illness. Police said Robert Wickizer threatened his estranged wife and mother-in-law at their home Monday afternoon and was carrying a gun. The two women ran to a neighbor’s house, where police say Wickizer then broke a window, trying to get in. Tualatin Police officers said they tried to negotiate with him, but he ignored them. That’s when officers shot and killed him. Bob and Chris Bryant live across the street and saw the whole incident. Wickizer’s son told KATU News his dad was a loving father and was bipolar. He said his dad was recently getting help from an agency that specializes in veteran’s care. He said this was very tragic for everyone involved. The officers involved are on paid administrative leave, pending the investigation. 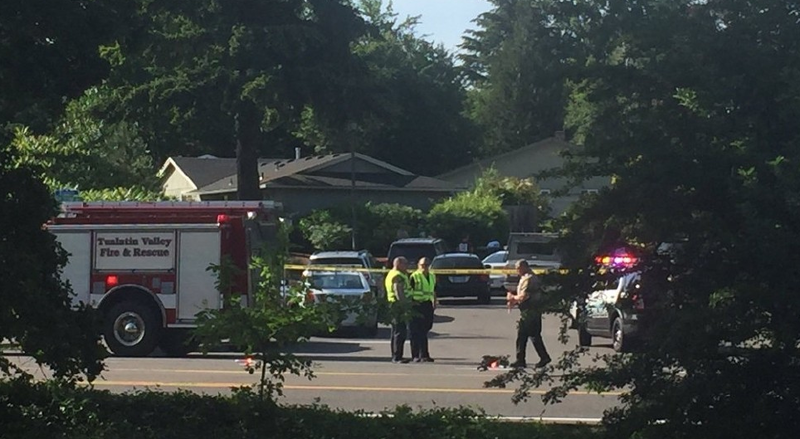 A 70-year-old man fatally shot by police in Tualatin on Memorial Day died of gunshot wounds to his chest and abdomen, the state medical examiner’s office said Wednesday. Dr. Karen Gunson, who conducted the autopsy, declined to say how many times Robert Wickizer was shot, citing the ongoing investigation into the shooting. She ruled his death a homicide. Wickizer was armed with a gun and trying to break into another neighbor’s house, where two of his family members had taken refuge Monday afternoon, police said. At one point, Wickizer broke one of the neighbor’s windows and tried to force his way inside, said Capt. Greg Pickering, a Tualatin Police spokesman. The Tualatin Police Department released the identities of the officers involved in the fatal shooting of a 70-year-old man on Memorial Day. Police said Robert Wickizer threatened his estranged wife and mother-in-law at their home and was carrying a gun. The two women ran to a neighbor’s house, where police said Wickizer then broke a window and tried to get in. Officers arrived and said that Wickizer was armed with a gun and still trying to get inside his neighbor’s home. Police said they tried to negotiate with him, but he ignored them. Based on his actions police said they opened fire, killing Wickizer. The law enforcement members involved in the incident are Tualatin officer Erich French with 16 years of service, Beaverton officer Charles Wujcik with 17 years of service, Beaverton Officer Aaron Oberst with 17 years of service, Washington County Sergeant Chris Schweigert with 18 years of service, Hillsboro Officer Anthony Cristofaro with seven years of service, and Tigard officer Nathaniel Will with 9 years of service. The officers involved in the shooting have been placed on administrative leave, which is standard practice in police shootings.